We have 1 Stunning Spacious Double en-suite £850 per Month, left available only to sigle occupant (no couple please), within an amazing 5 bedroom Property. The en-suite double room is available from the 15 of November. This semidetached house is located just 5 mins walk from Wembley Central Underground and Overground Station. The rent is Inclusive of all bills, Tax and Super fast Wi-Fi internet. The property is fitted with new high quality double glazing and is fully gas central heated with a powerful Mega Flow Water System. 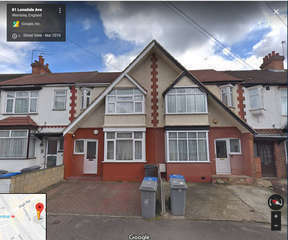 Very well organised, this HMO property has a total of 5 bedrooms the diner/kitchen fitted with all desirable appliances offer lockable cupboard and shelf allocated space in fridge and freezer. The rooms are spacious, centrally heated with a thermostatic valve to control the temperature. Moreover, all rooms have sufficient power points, Super-Fast Internet/Wi-Fi link and Freeview TV Points. Three of the five double rooms have an en-suite shower bathroom, so only two room share a very spacious bathroom accessible only the shearers by key. The common areas have a modern clean kitchen that is well lit and include brand new: oven, microwave, fridge, freezer, washing machine and dryer. The Garden is paved and clean. 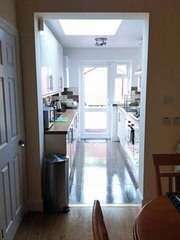 The property is within 5-minute walk from Wembley Central tube and London Overground. 27 minutes to London Euston or 29 minutes to Oxford Circus. Wembley Stadium, Wembley Park, Alperton and Sudbury Tube Stations are within 10 minutes gives you access to four Tube lines (Bakerloo, Metropolitan, Jubilee & Piccadilly) and two London Overground stations. There are lots of buses (18, 79, 182, 204, 83, 92, 297 etc…) which are offering Night Bus service.